The Nature Reserve of the european bison (bison bonasus) in Spain is placed in a privileged environment in the region of Montaña Palentina, namely the town of San Cebrián de Mudá. The place where people can watch several european bison specimen is a 20 hectare large plot in the middle of an oakwood and meadows. Since 1927 there is no free-range bisons in the world, therefore the main objective of this project: the repopulation of this historic animals. Just to be clear: this place is not a zoo nor an animal exhibition, so visitors are not guaranteed the view of the animals when coming to this reserve. Based on the animals freedom and the size of the reserve, there might be some sight possibilities, but not a certain chance of seeing the bisons. Bison watching can be made from three different spots, two of them within the reserve. 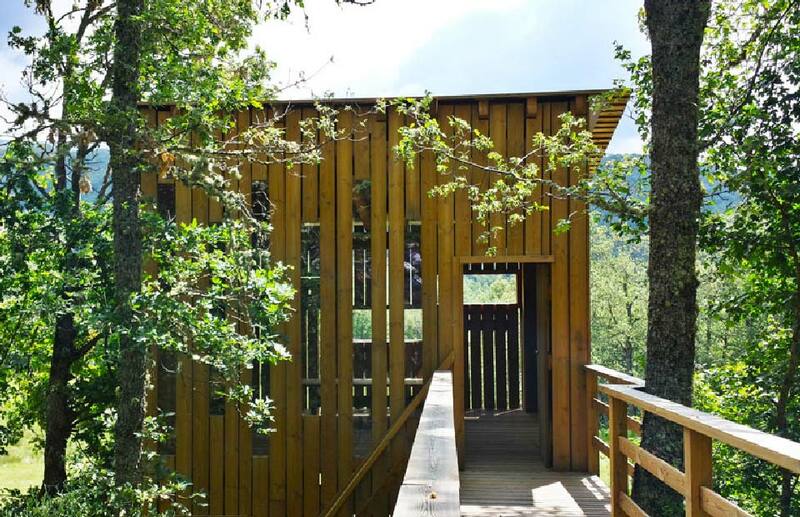 In the entrance of the reserve, there is a building where visitors can learn more about this species. There are special prices for school groups of all ages. Every tour is guided and will last at leat 2 hours. The is a 2km distance between the Center and the Reserve. Visitors can tour the reserve in different ways: depending on where the animals are, the tour will go one place or another. In the winter, the tours can also be made in snowshoes. It is located in San Martin de Perapertú at a different site, where two of the species which had relation with our ancestors, live, as the Przewalski Horse and the European Bison. This place is created as a fight against the extinction of these especies and for the development of a job profile called producers of biodiversity. This profile creates sustainable jobs in rural areas. It is important to introduce the visitor in a different place, where there may be a direct and wild connection while admiring these animals in full freedom. "Stars Viewpoint" & "Goina Hostel"
The Star Viewpoint is placed in an old dryer coal back from 1956, which was renovated in 2006 as an astronomical Observatory, allowing its conservation as a meaningful element of industrial architecture. It is intended to show the visitors the history of the mining area and to help them understand the work of the miners. To visit the viewpoint is necessary to book a visit and to be a minimum of 6 people in the group. Only night visits are realized. 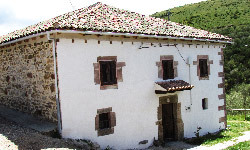 This is an old parish house, restored as a hostel. 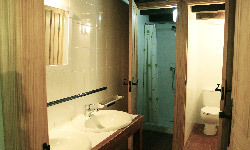 It has 30 places, kitchen, lounge, dinning room with TV, 4 bathrooms, heating system and hot water. It is intended for those who are enjoying the activity of Mundominer park. In San Cebrían de Mudá, in the province of Palencia in Spain. Click HERE to learn about our special offer. Visit Bison and Horses: 16€/people. Minimum 4 people in the morning. Only under reservation.